Filipinos' love for buffets is undeniable. 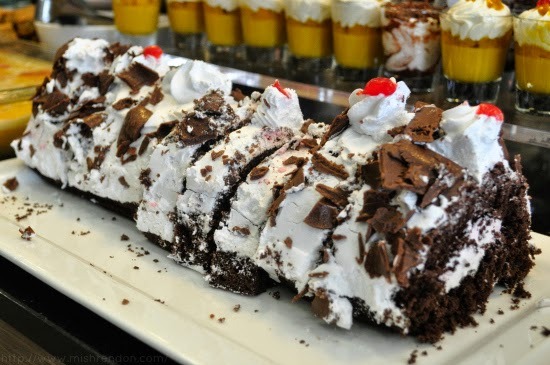 We have this inclination to have every birthday or any other similar event celebrated in buffet restaurants. It's probably because of our huge appetites, but it could also be because we wanted to try as much food as possible for less. 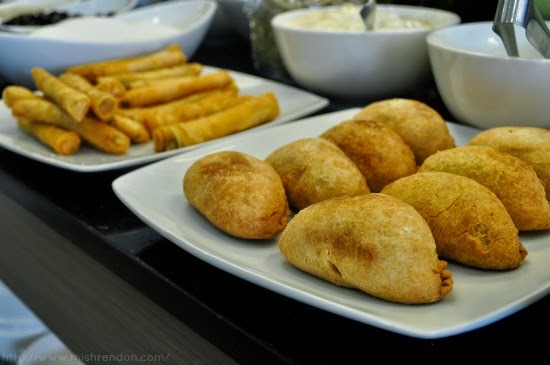 It is the most sulit option whether you are eating alone, in twos, or with a large group. 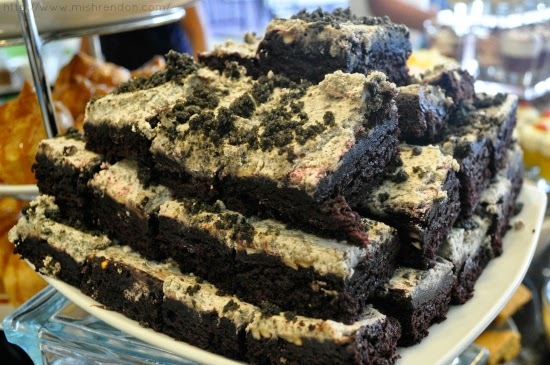 On the other hand, Filipinos are also known for their sweet tooth. We tend to make savory meals such as spaghetti sweetened to match our preference. 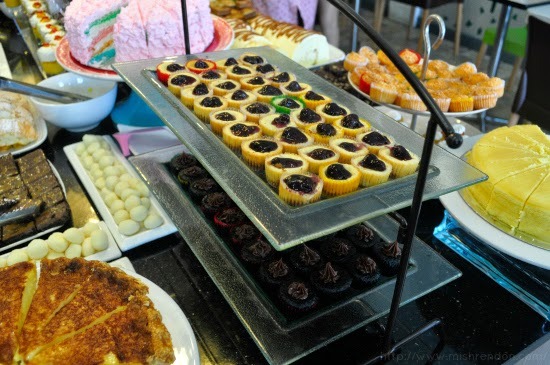 I guess that is what Love Desserts Buffet is all about - combining our love for sweets and buffets together. 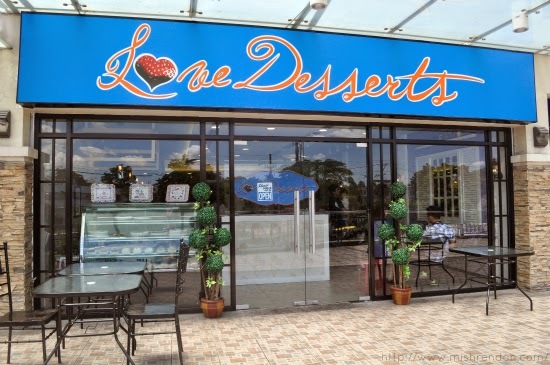 Love Desserts Buffet is the first and original eat-all-you-can dessert restaurant in the Philippines. The branch that I visited was at Pearl Drive Center, Fairview, Quezon City (along Commonwealth). 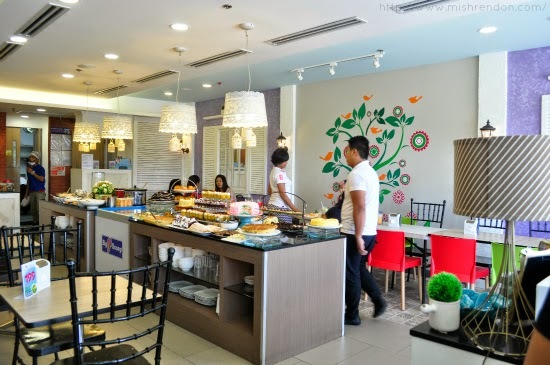 It also has another branch at Banawe in Quezon City. Although I haven't been to the Banawe branch, I was told that this branch in Pearl Drive is more spacious. Personally, I like how dainty this restaurant is. The pretty details that comprises the place - from the decals on the walls, pretty chandeliers, and candy colored seats - definitely give an inviting and relaxing feel . Of course, my visit to Love Desserts Buffet wouldn't be complete without trying out their food! 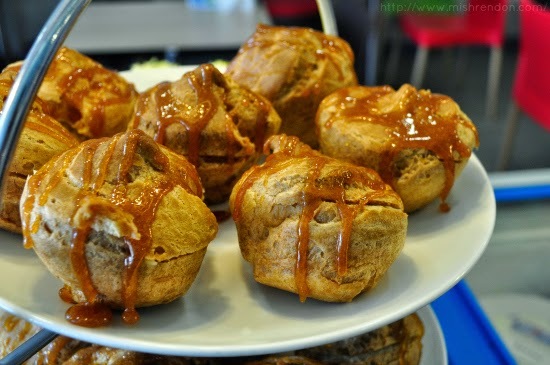 As compared to other buffet restaurants, there is only one (long) table at Love Desserts Buffet. But this should never be underestimated! 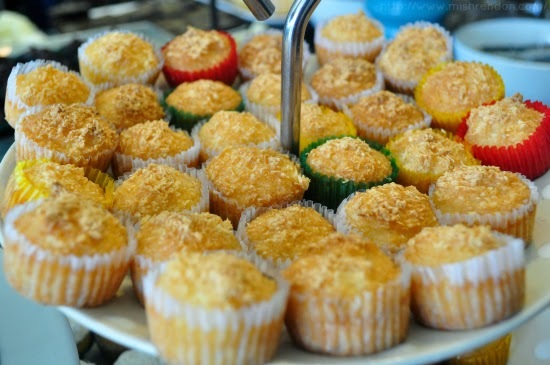 There are numerous different varieties of cakes, pies, and other kinds of desserts included in their unlimited promo. Honestly, I wasn't able to try every single dish because I was already full after my second plate. 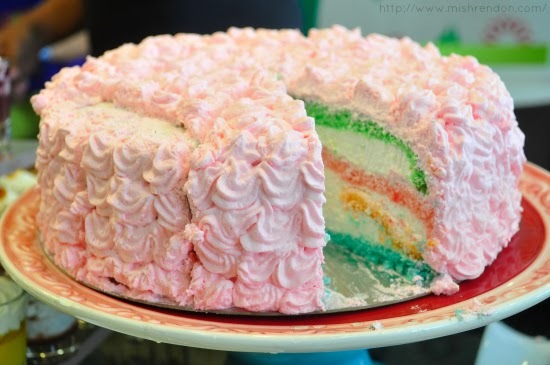 The most popular dish that they currently offer is the Rainbow Cake! Not only is it extremely cute, it is equally as tasty. Personally, I don't have any favorites among the cakes because each has its distinct taste. 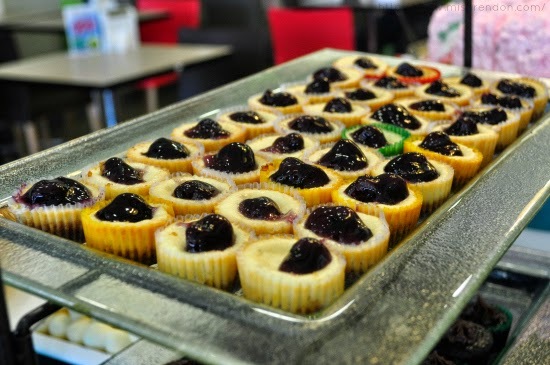 But I personally enjoyed the sweet and tangy Cheesecake bites. 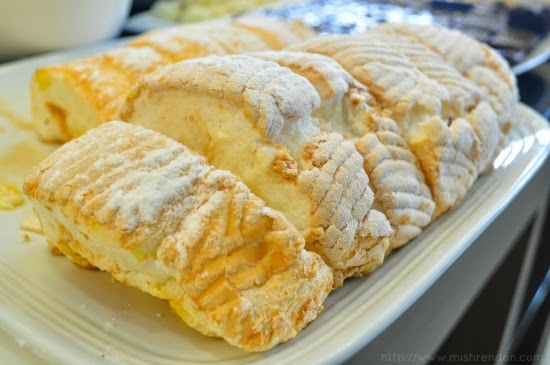 I also liked the Cream Puffs, not only because of its size, but also because it tasted like my fave cream puffs from a local bakeshop. 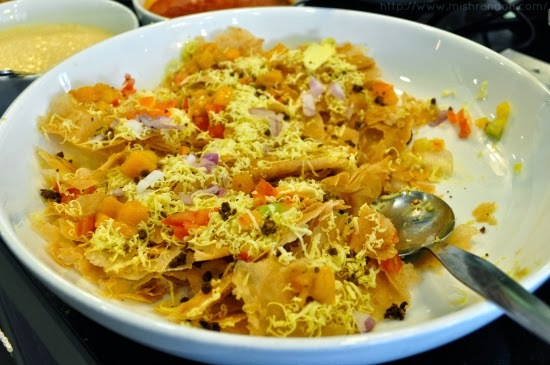 Aside from cakes and pastries, they also have local favorites such as Halo-halo! 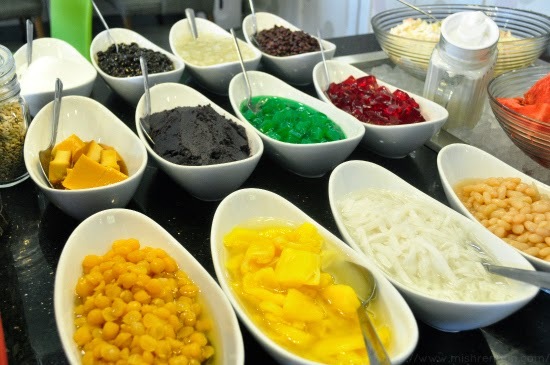 The fun part of having Halo-halo at Love Desserts Buffet is that you could personalize it. You could put in your favorite ingredients, add as much milk as you want, and top it off with your favorite ice cream flavor. They likewise have cool Silvanas in their menu. 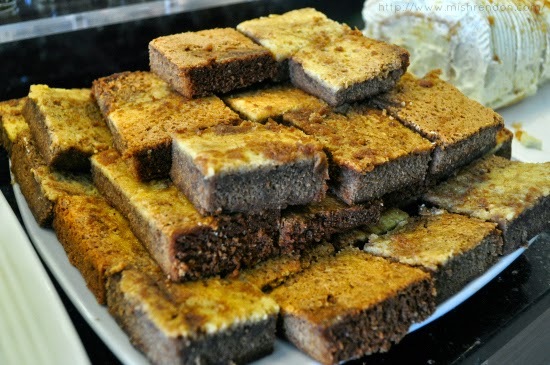 On the other side of the table, there are dishes which aren't really categorized as desserts. But believe me when I tell you that these will be your lifesavers. They'll remove the umay feel you'll get after eating sweets for too long. Personally, I love the arroz caldo and dynamite. 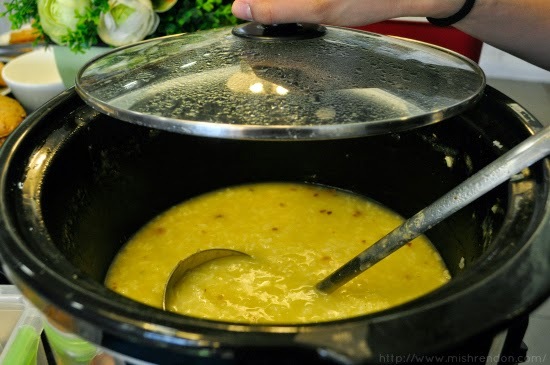 The arroz caldo helps in cleansing the palette while the dynamite gives off a nice contrast to any of the other dishes served at Love Desserts Buffet. 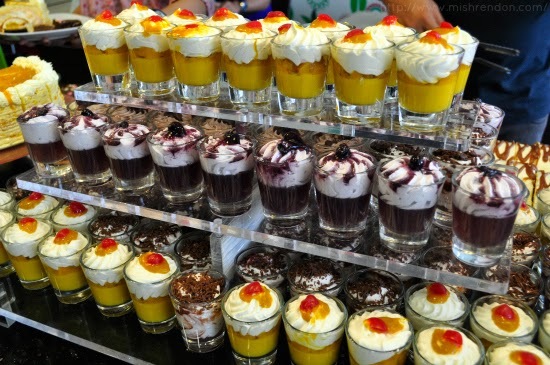 Aside from unlimited cakes and desserts, Love Desserts Buffet also serves unlimited drinks. 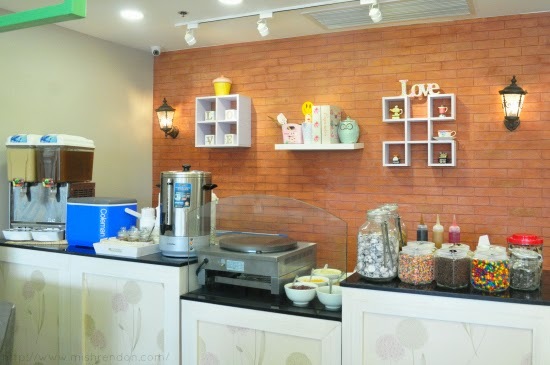 They have coffee, milk tea, and iced tea for you to choose from. 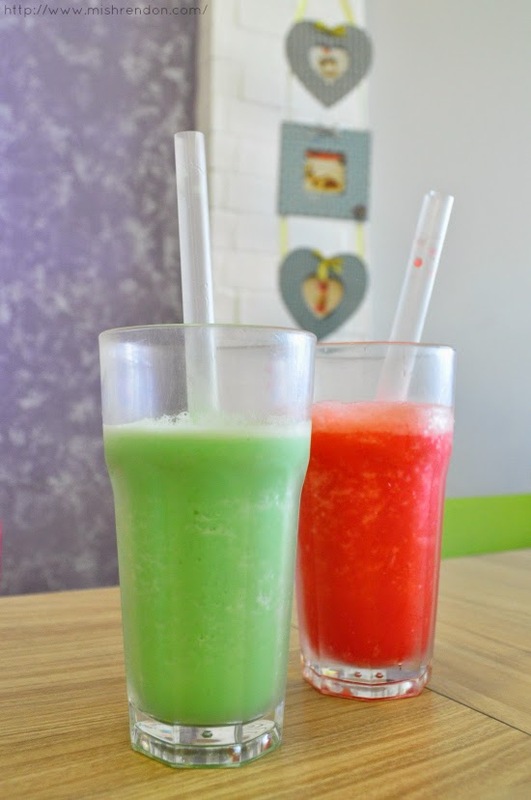 They likewise offer refreshing ice blended drinks such as watermelon shake, buko shake, buko pandan shake, hot fudge shake, among others. Personally, I like the buko pandan shake the best. It's like a dessert in itself. On the other hand, if you want something refreshing, it's better to choose a fruity drink such as watermelon or buko shake. My favorite part of the buffet table is the ice cream section. There's no other better way to beat the heat than having ice cream! 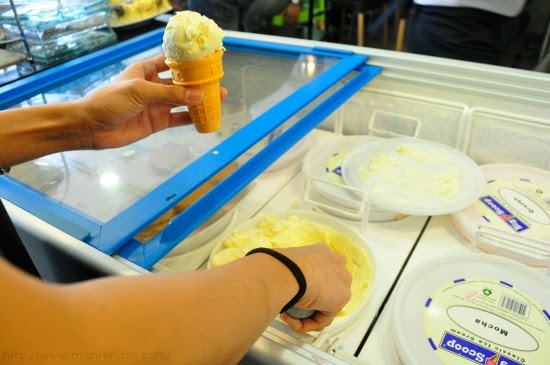 There are at least 5 flavors of ice cream available at Love Desserts Buffet, including mocha, vanilla, orange, and coffee. 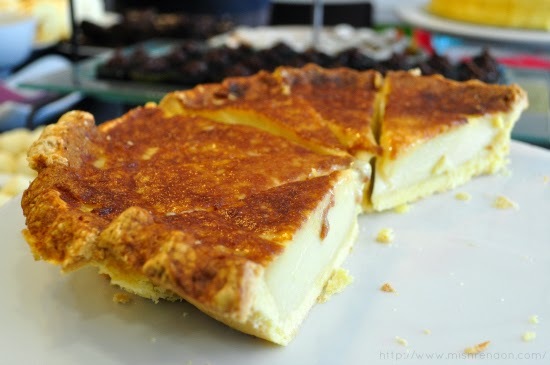 Aside from having it on a cone, you could put in top of a cookie or have a crepe made and eat it ala mode. I had a blueberry crepe made and topped with vanilla ice cream. It was a winner! You could have your crepe filled with Banana, Strawberry, Mangoes, or Bananas. 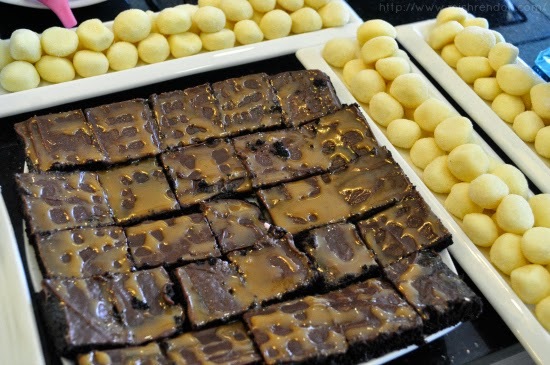 If you're looking for a new place to go on a food trip or if you simply love sweets, better try out Love Desserts Buffet! Their unlimited desserts are priced at only P199 per person and they're open from 11am until 11pm to satisfy your sweet tooth! Sayang, I wasn't able to join you! 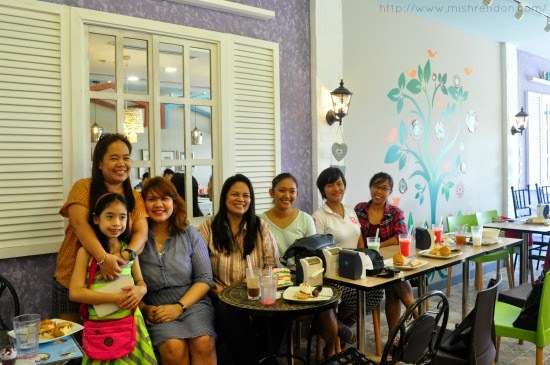 Your article and photos make me want to visit the Banaue branch, now na para mas malapit! 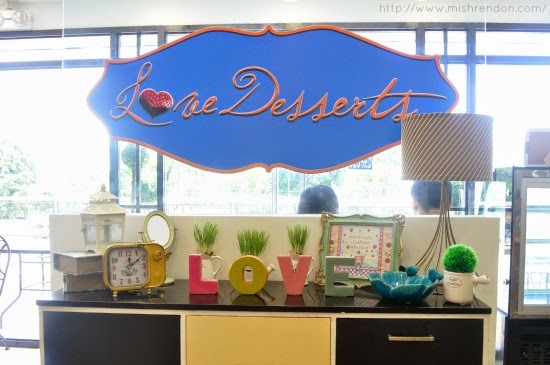 Love Desserts is definitely a must-visit for sweet lovers like me, Mish. Thanks for sharing this! OMG! 199 only? Grabe this is soo affordable! Although it is too far from my place I hope I can go there! Hi Mc! Just ride a bus with SM Fairview signboard from Cubao. Just ask the driver to drop you off at Pearl Drive Center (right side, before Fairview Center Mall). It's just a few meters from Puregold Fairview. :) Hope this helps!